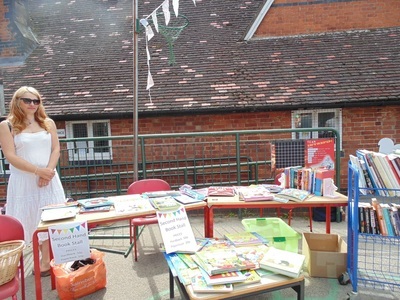 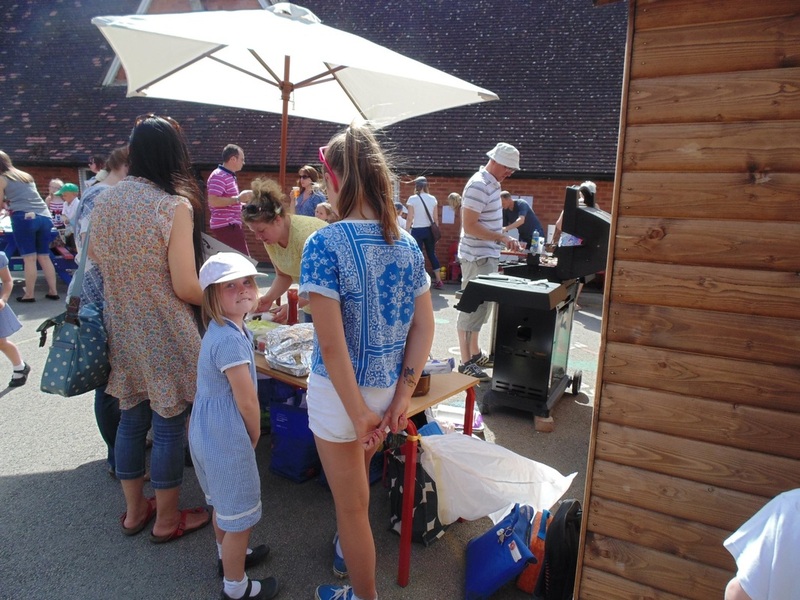 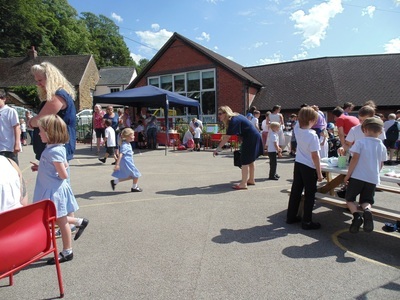 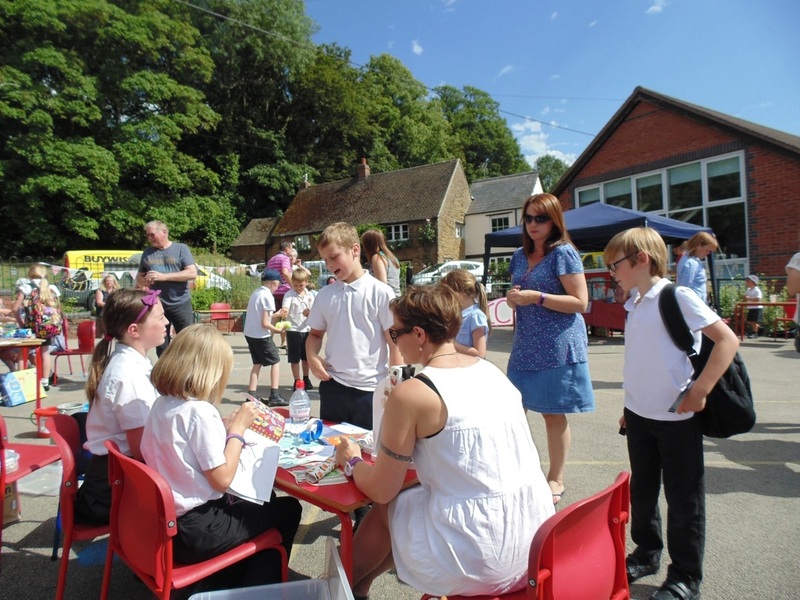 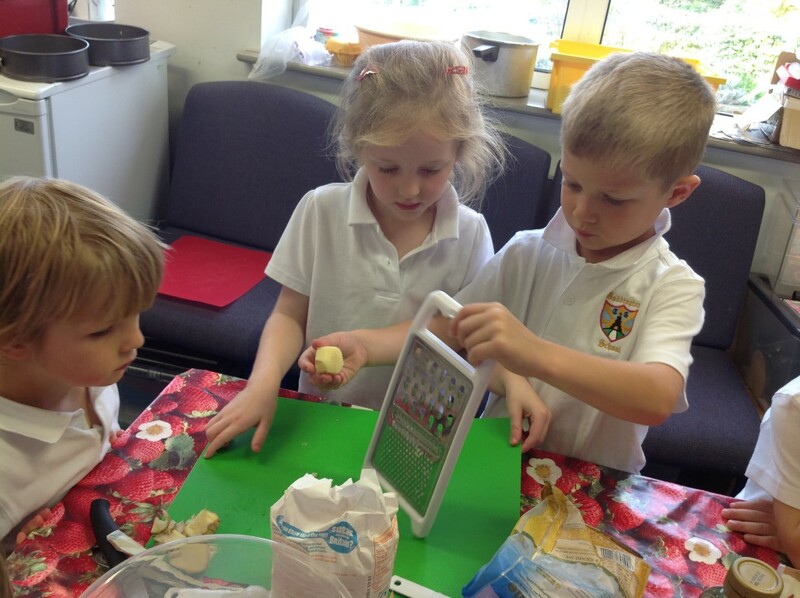 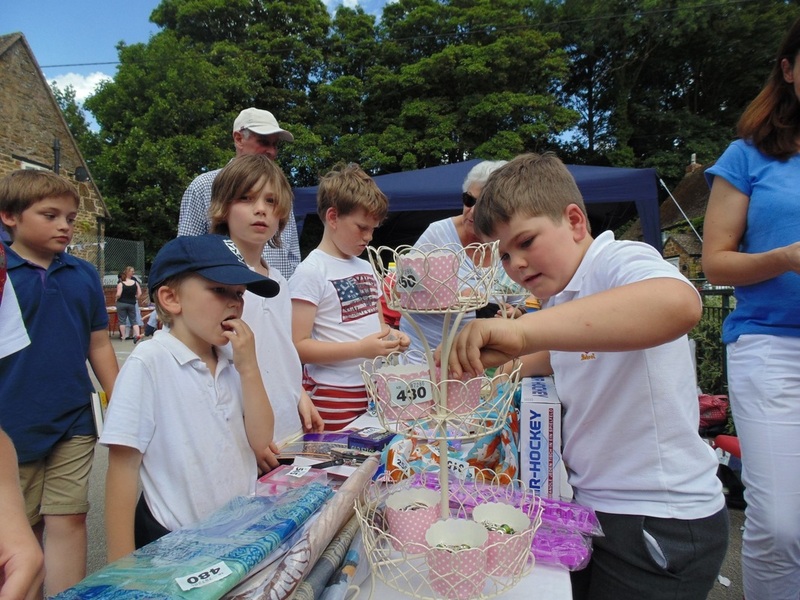 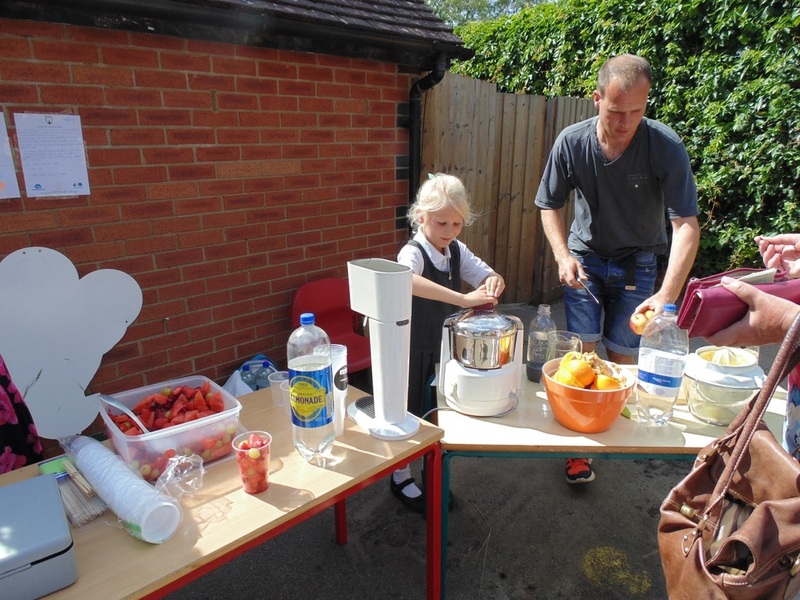 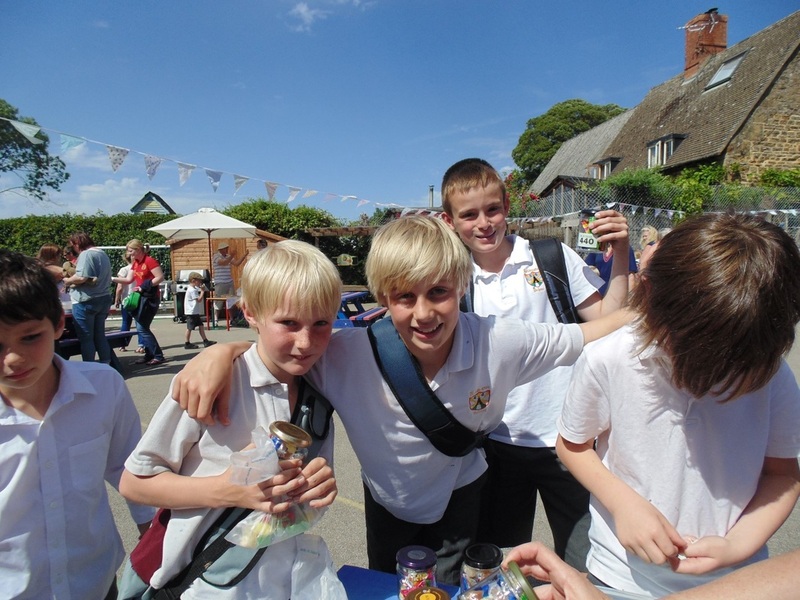 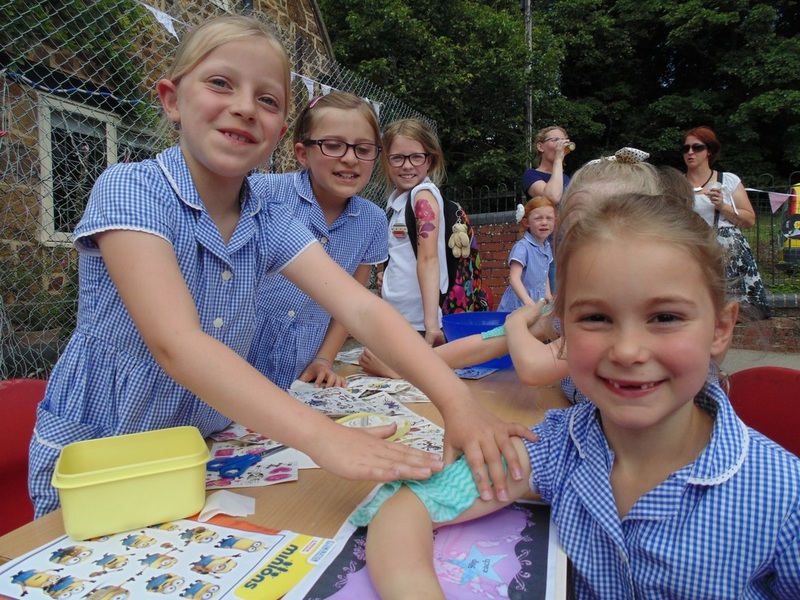 The playground was a bustle with market stalls last Friday 10th July for the PTA grow a £1 challenge. The sun shone on a whole array of stalls - well done to all the children for their creativity and to all the parents who supported them. Business was brisk whether you were queuing up to have a go on the sweetie tombola, to make a badge, buy yourself a freshly squeezed orange juice or to have a go at one of the many challenges or quizzes. 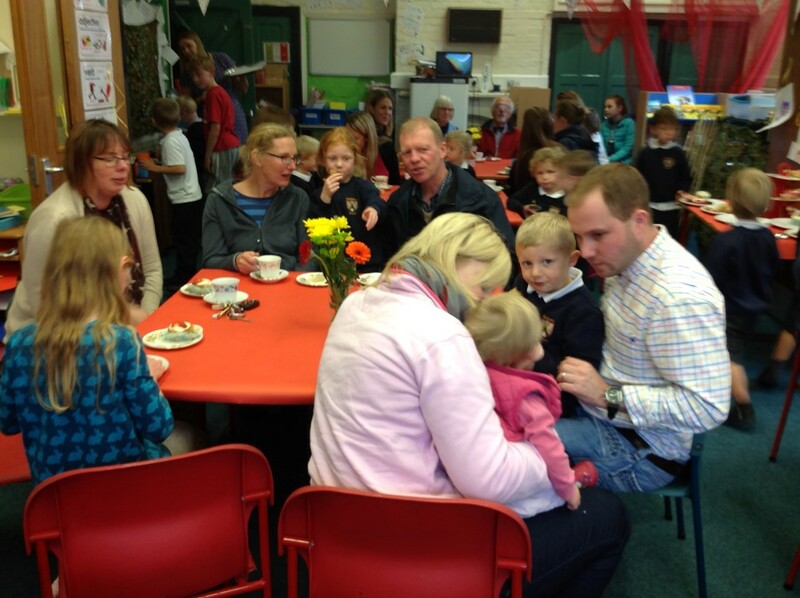 To keep the crowds happy there was of course plenty to eat and drink including the choice of BBQ or cream tea. 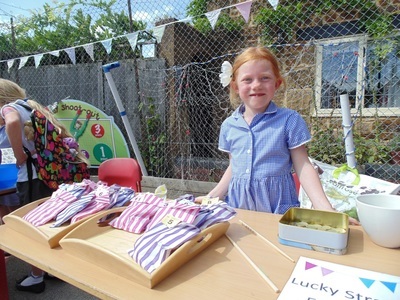 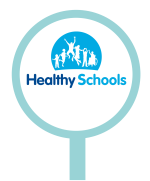 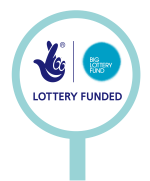 Please get your grown funds back into school on Monday and we will announce the total raised as soon as we can. 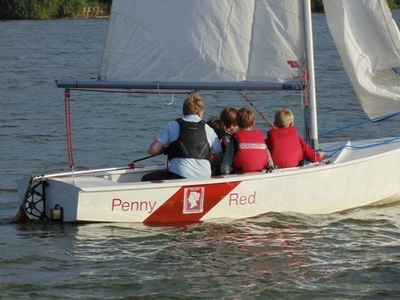 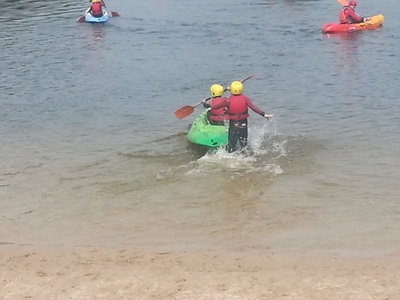 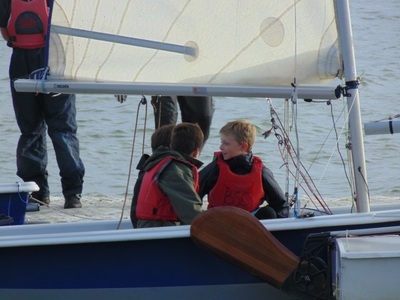 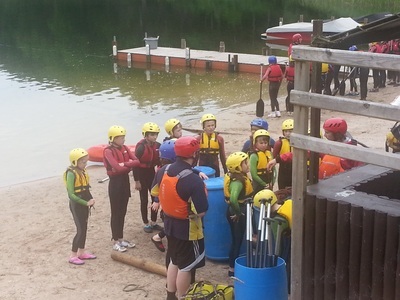 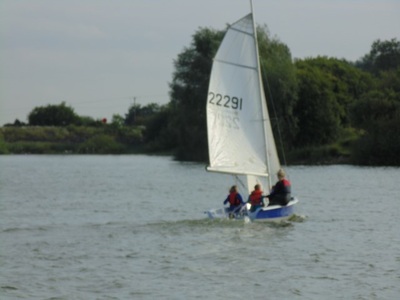 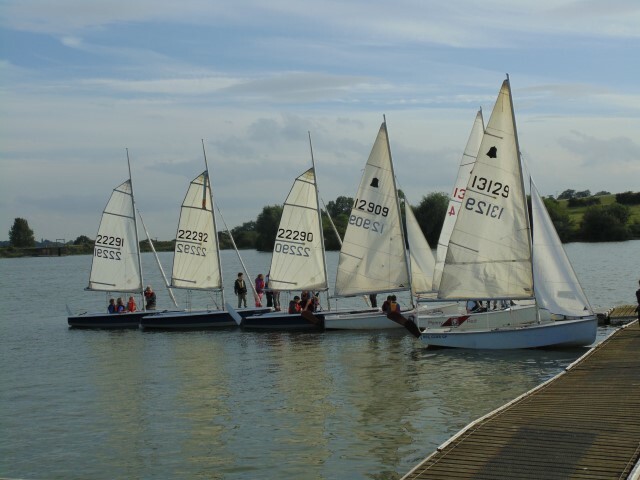 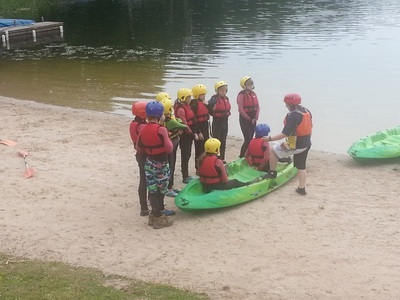 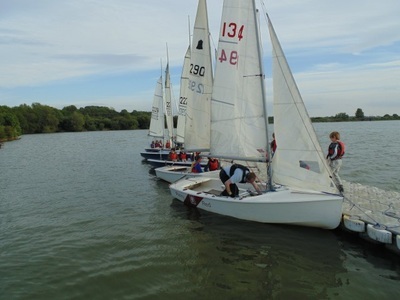 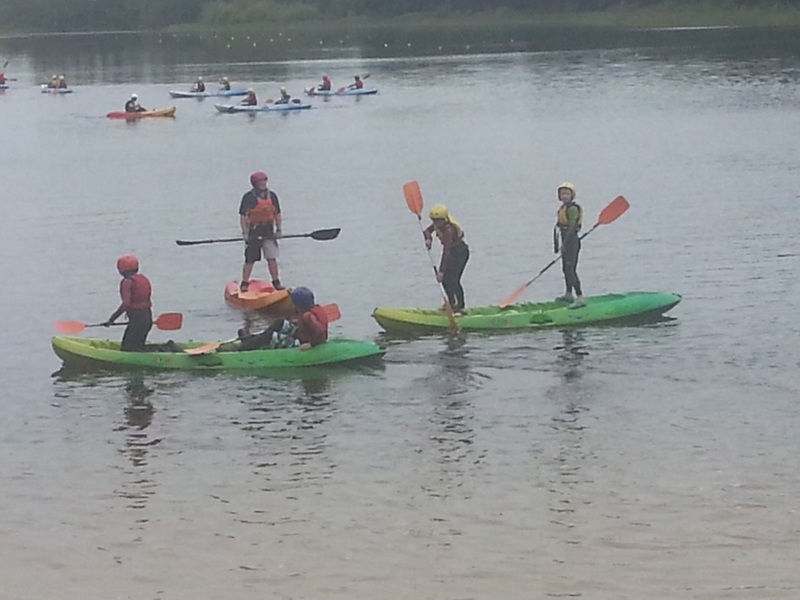 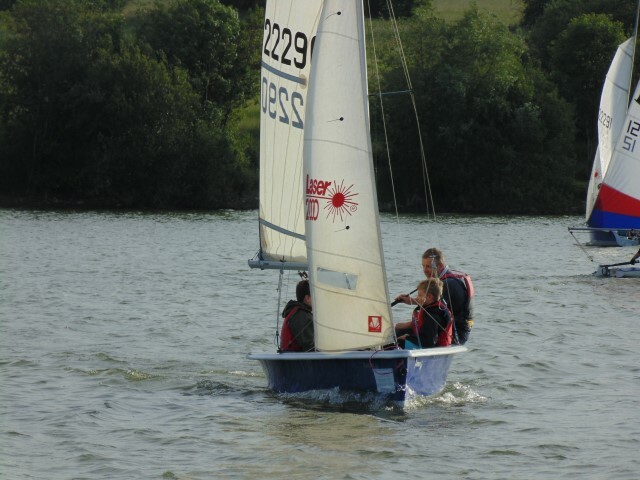 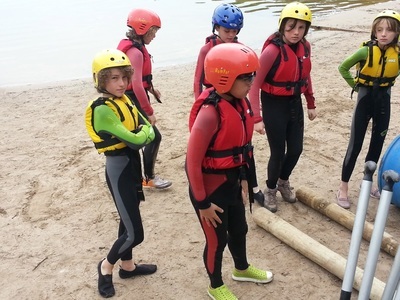 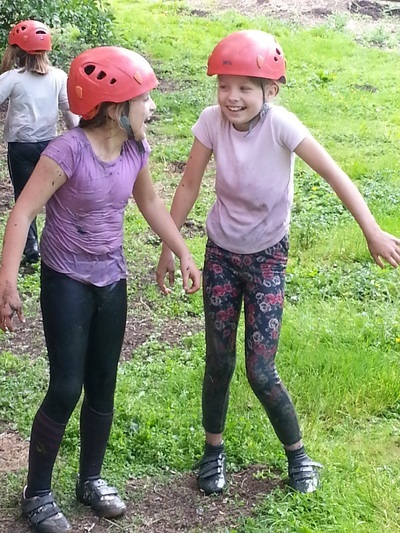 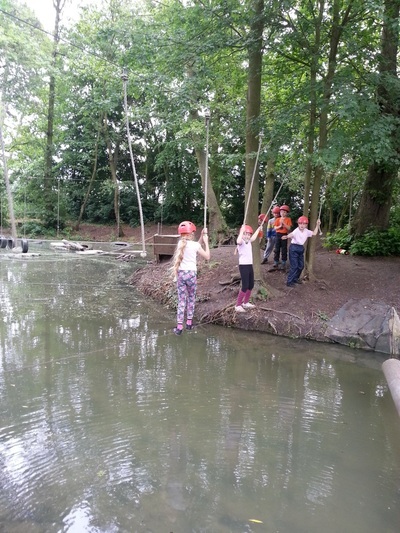 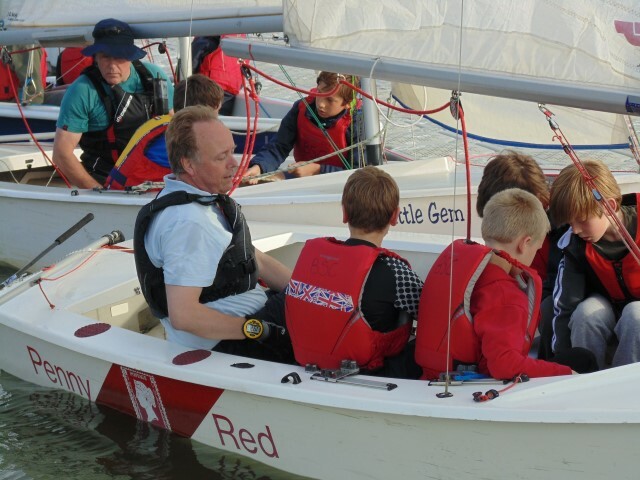 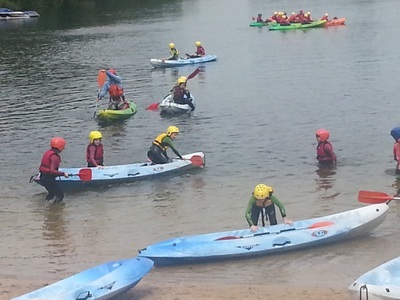 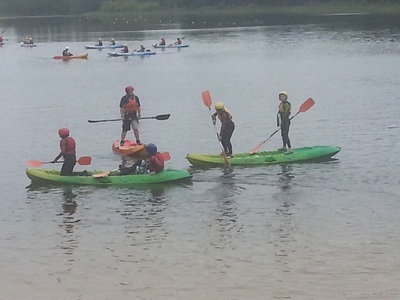 Years 4 & 5 had great fun last Thursday 18th June when they participated in an OnBoard session at Banbury Sailing Club at Boddington reservoir. 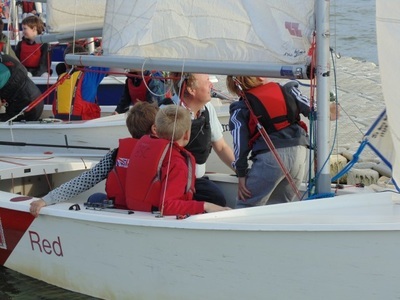 The RYA OnBoard sessions give an introduction to sailing for young people. 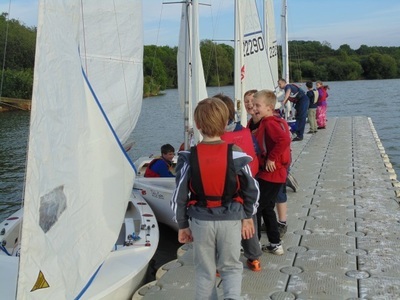 The children were taken out on the water in small groups each with their own instructor and got to try their hand at sailing. 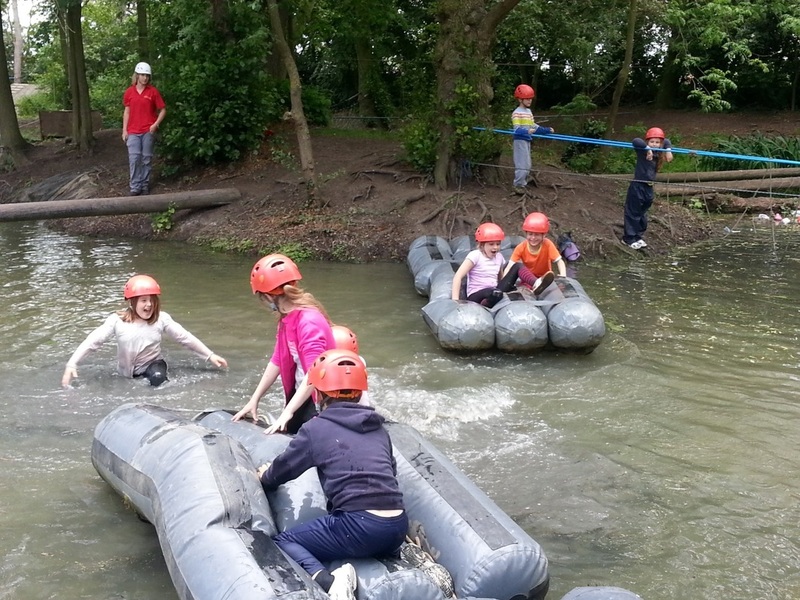 It was great fun for all. This term's topic is all about the sea and sailing so now that the children are all back on dry land we are looking forward to reading about their super sailing experiences. 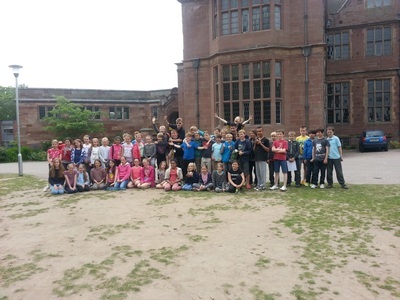 Year 6 pupils visited Condover Hall in Shropshire for a week's residential trip. 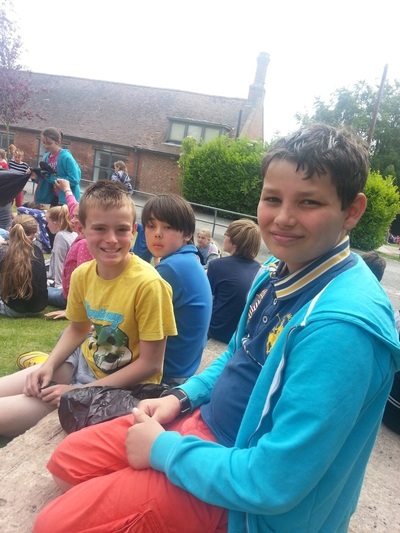 It was a well deserved week away after all their hard work this year. 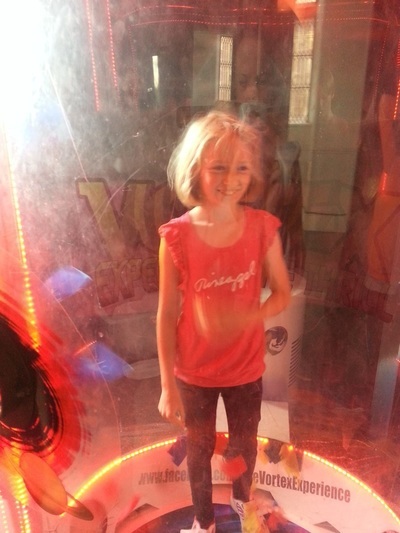 The residential included lots of once in a lifetime experiences. 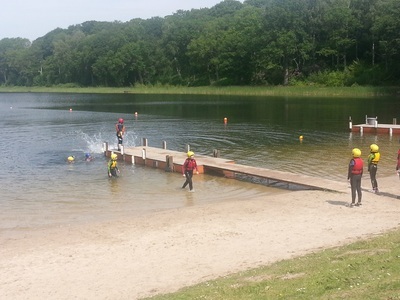 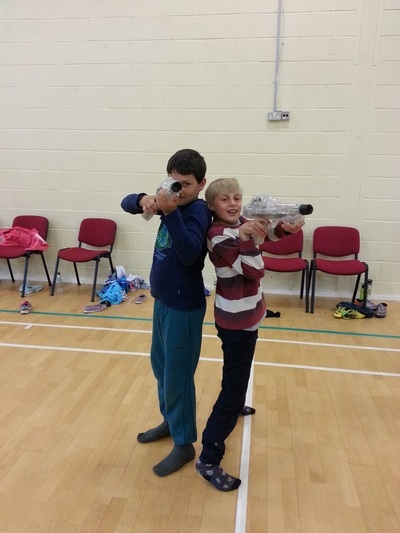 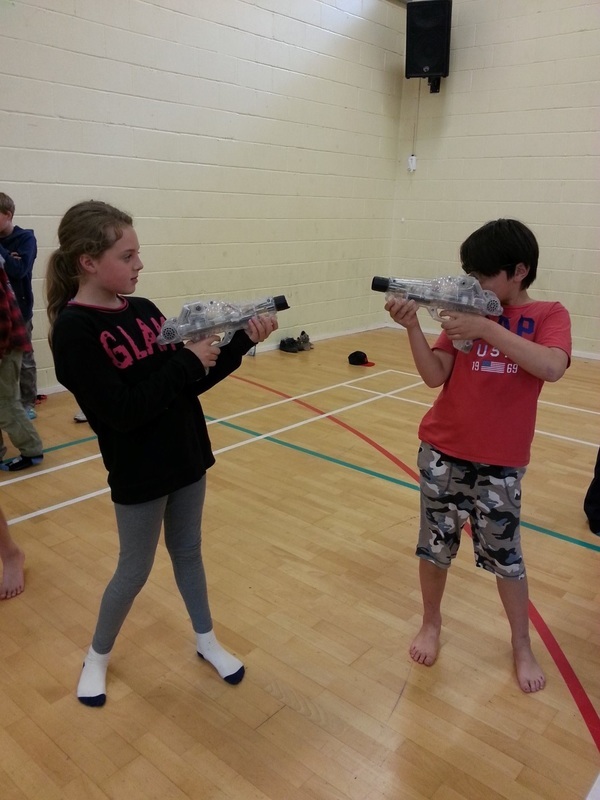 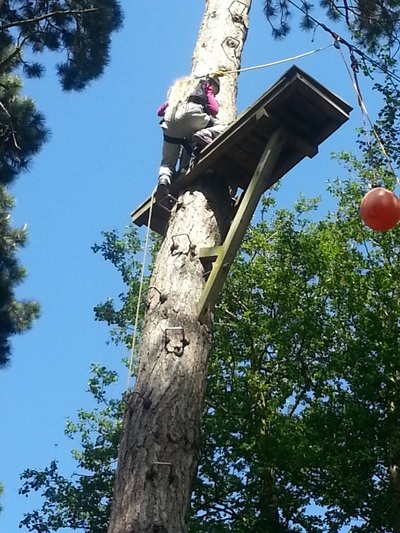 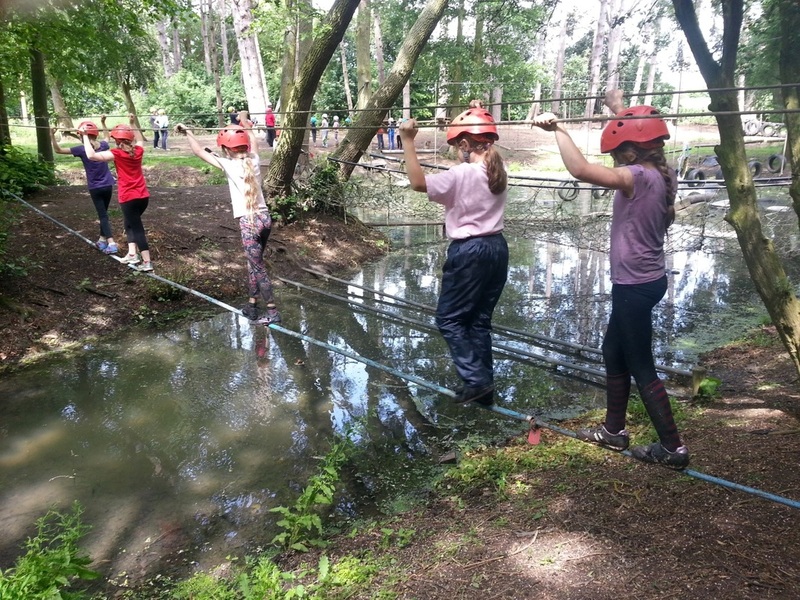 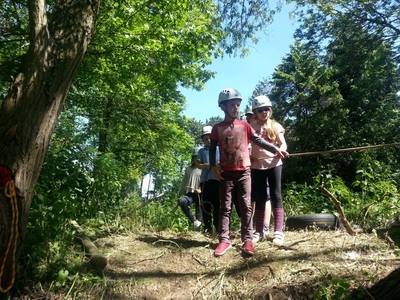 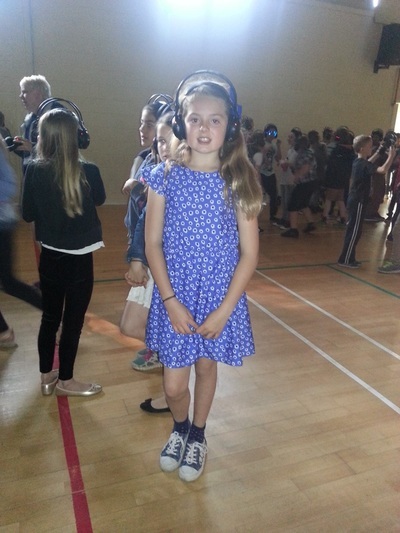 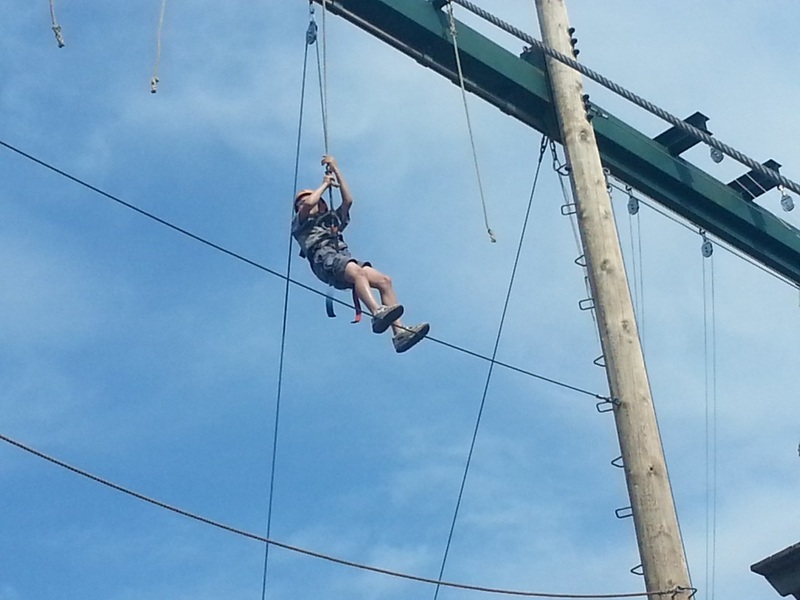 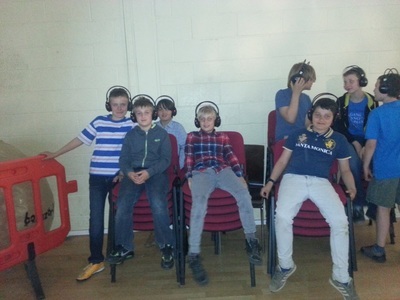 There was kayaking, rafting, high wire, fencing, obstacle course, an amazing laser game and even a silent disco. 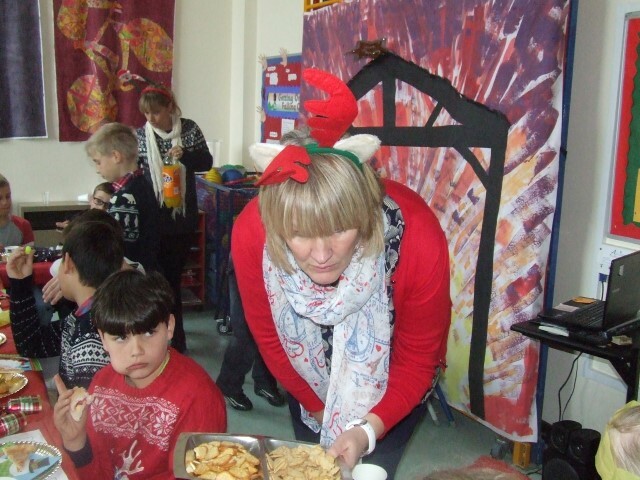 It was great fun and everybody had a fabulous time. the photos don't do it justice! 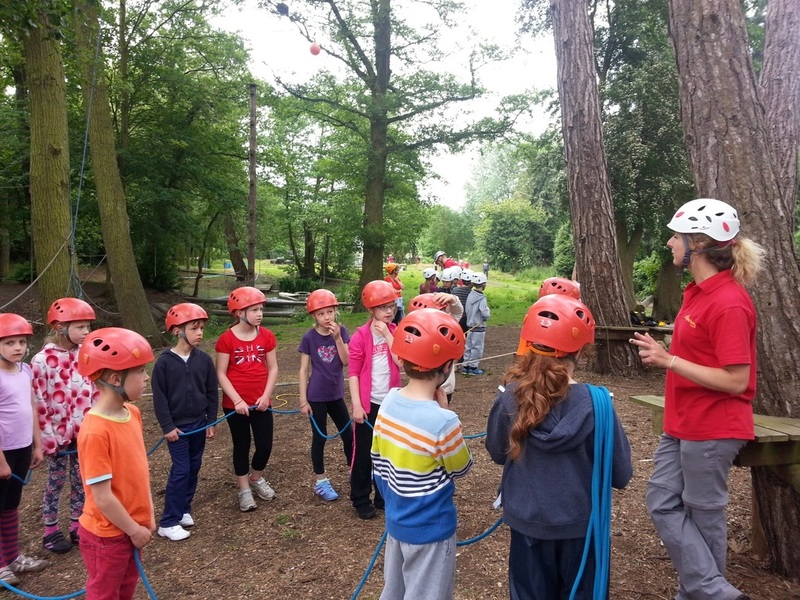 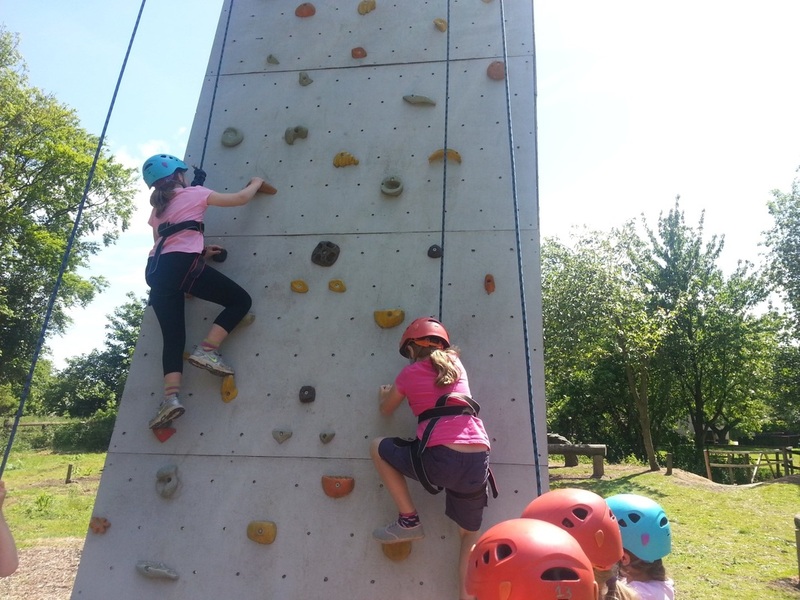 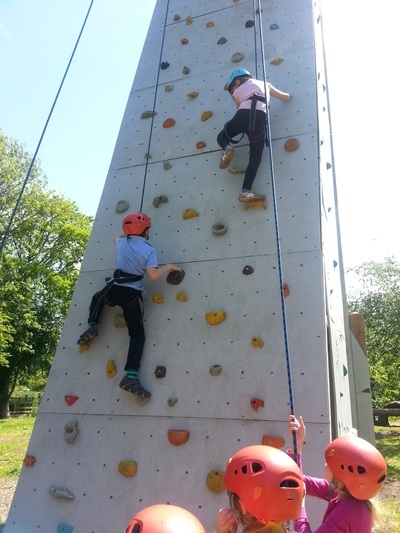 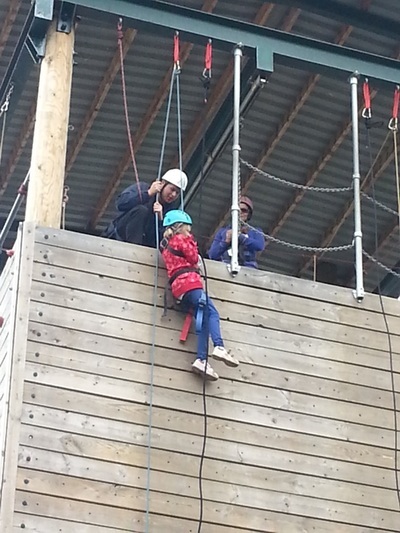 Another very successful residential for the Year 4s at Grendon. Well done all for participating so well. Pupils in years 2-6 made their own pin hole cameras to view the solar eclipse. 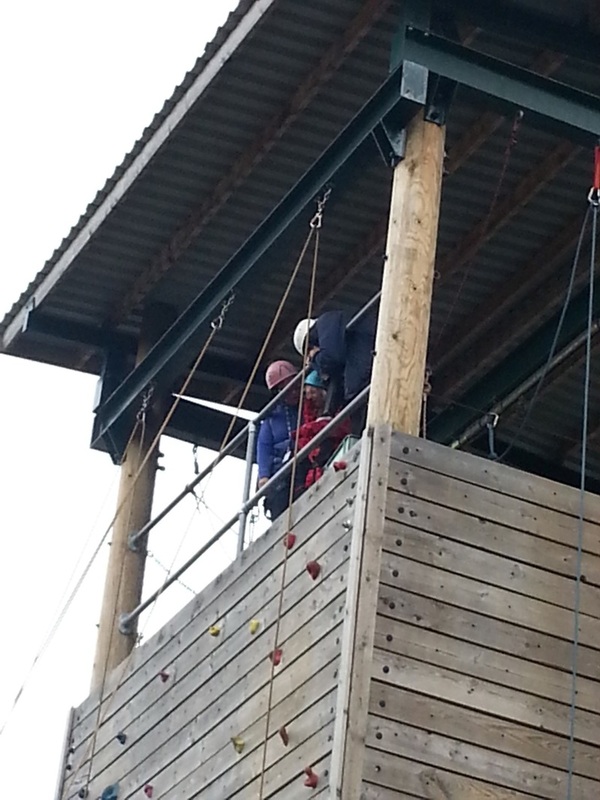 With minutes to spare the clouds cleared and the skies began to darken. 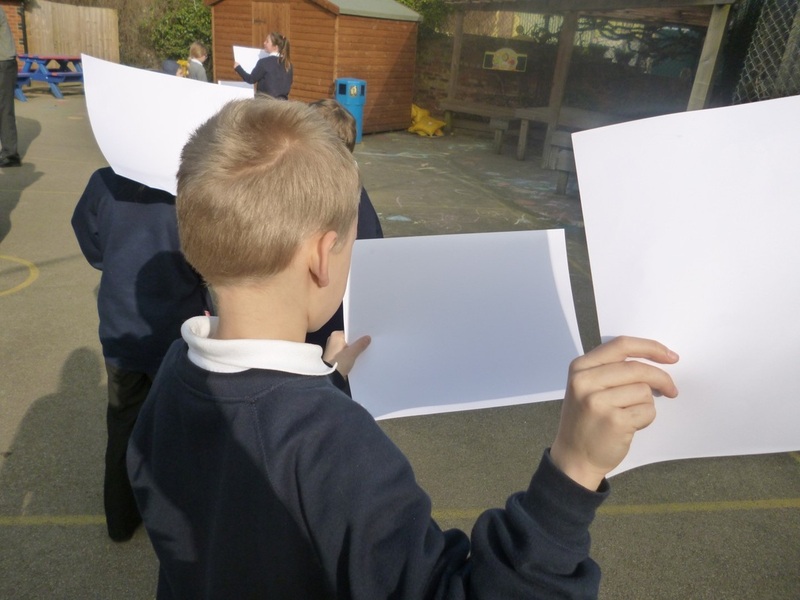 The light began to fade and then there on our cameras we could see the shadow across the sun. 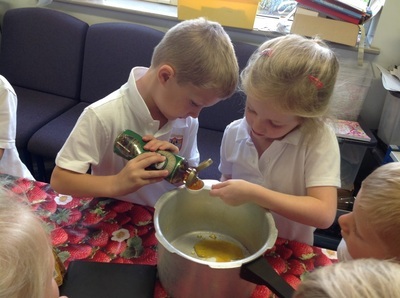 Hands on science at its best! 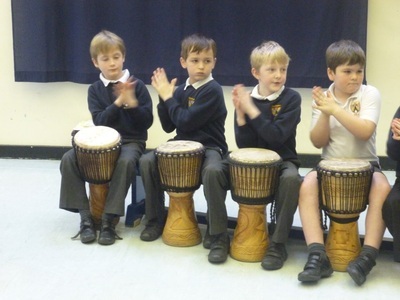 As part of our cross curricular topic on Africa the children enjoyed a drumming workshop. They participated enthusiastically learning the skills and techniques of drumming and they picked up the rhythms so quickly that by the end of the session they were able to perform to the other classes. 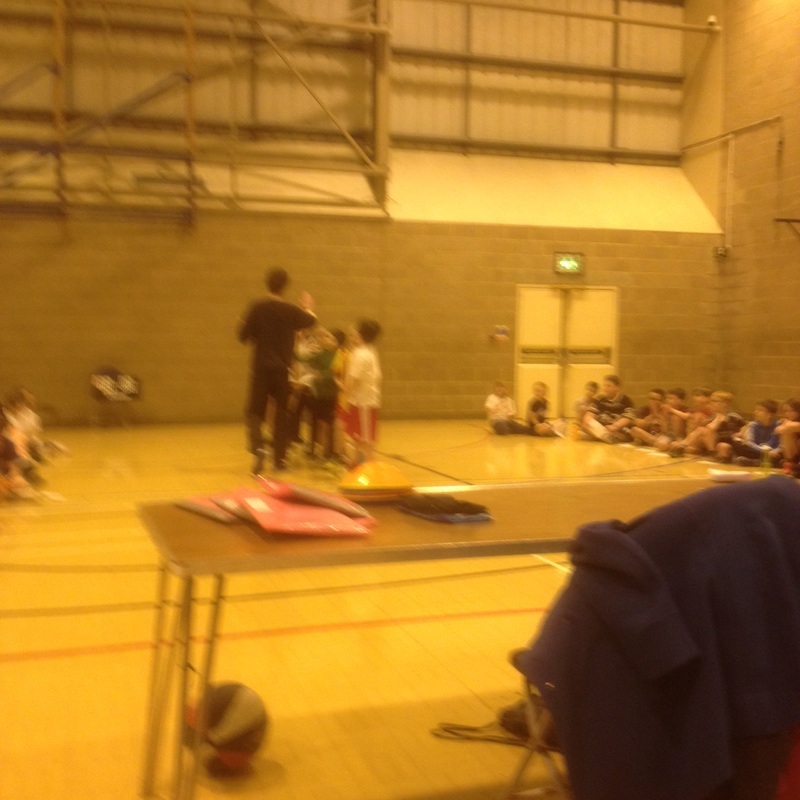 Well played to the boys who took part in the Hotshots basketball tournament at Danes Camp in Northampton on Saturday 31st January. Jamie, Matthew, Will, Jacob, Dominic, Archie and Harry. 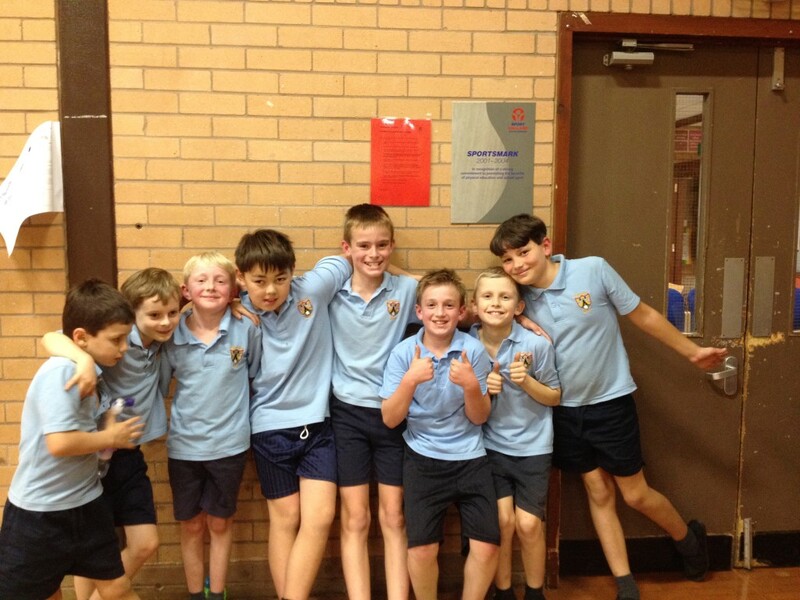 They were the only team to win all their 3 games so they have now qualified for the County final. 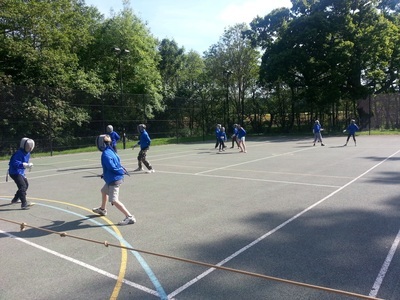 As a small team most were on court for all the matches so they did particularly well playing against larger teams who could call on fresher players. 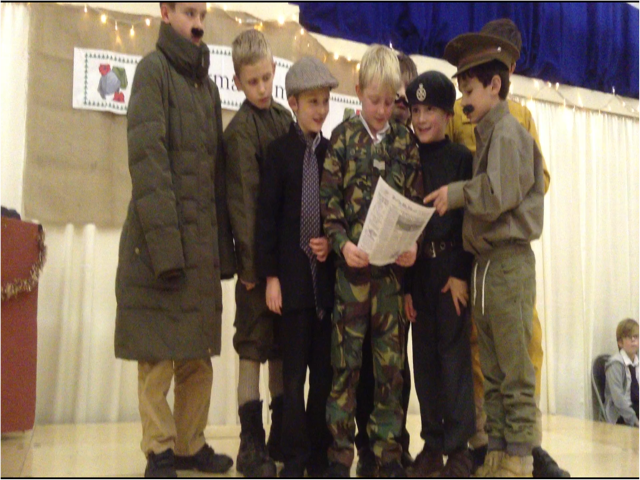 Congratulations boys we are really proud of you. 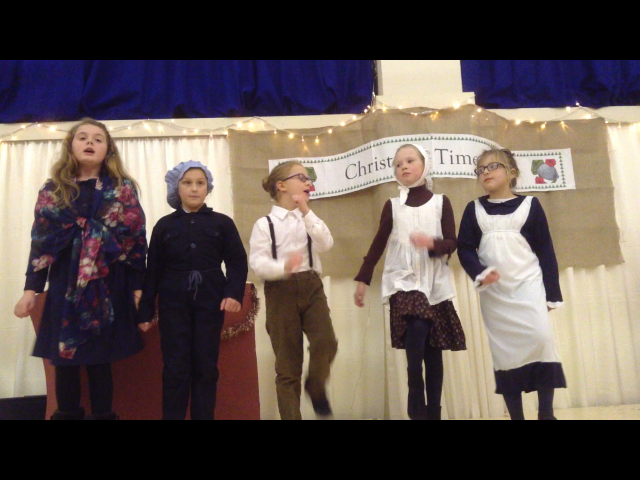 The run up to Christmas was of course very exciting for all concerned. At school we had a whole host of activities including numerous performances. Our thanks go to all pupils, parents and staff for all the hard work involved! 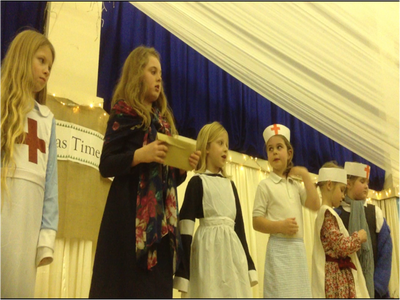 The two different Christmas productions were amazing. 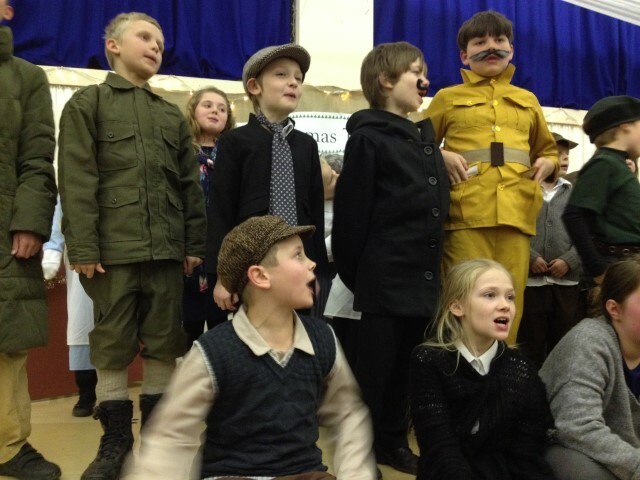 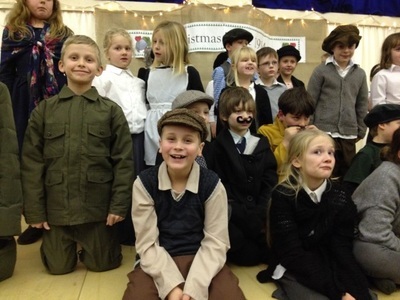 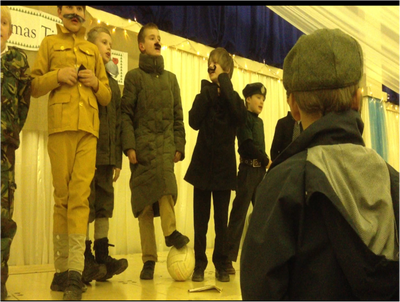 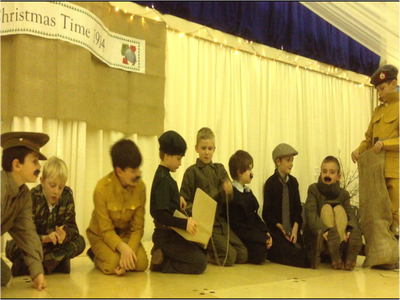 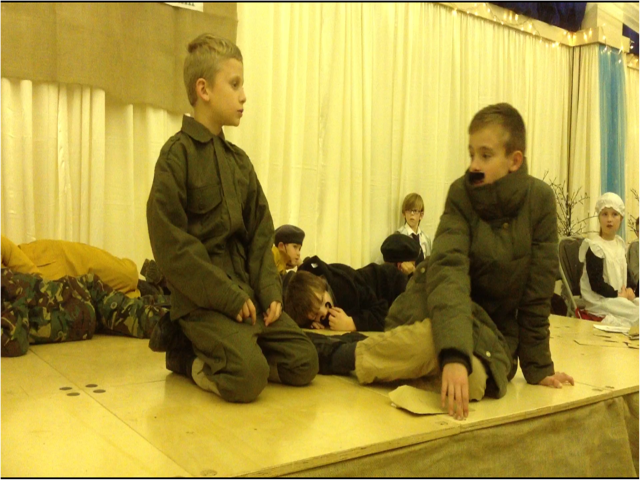 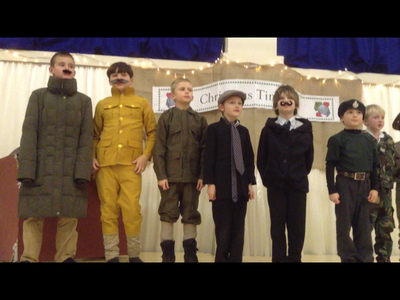 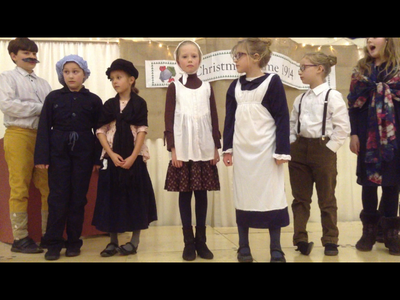 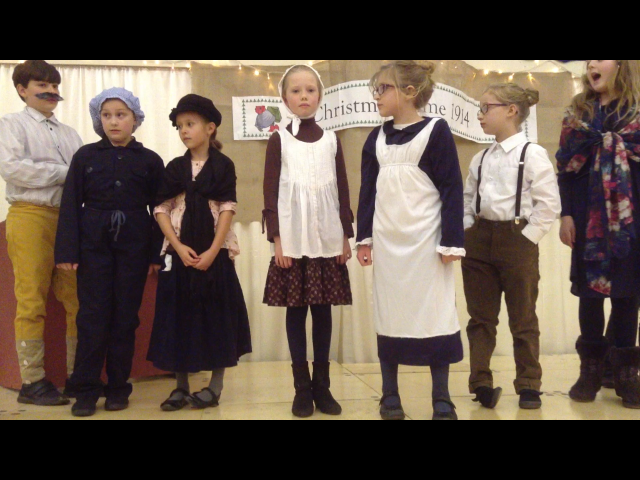 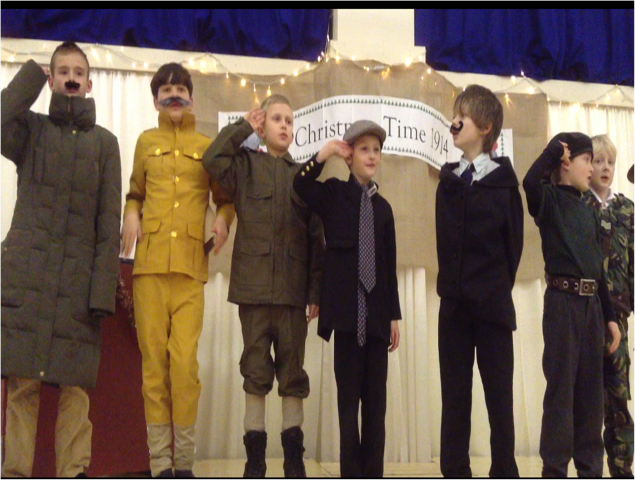 Years 2-6 put on a performance of The Christmas Truce and Reception and Year 1 performed the Nativity story. 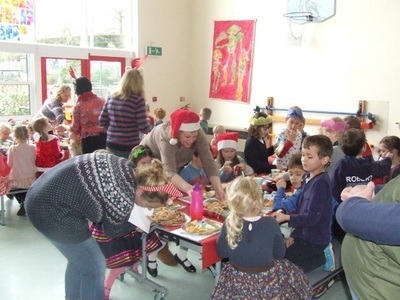 We also had our own church service which this year was a Christingle Service and the children and parents enjoyed making and learning about this tradition. 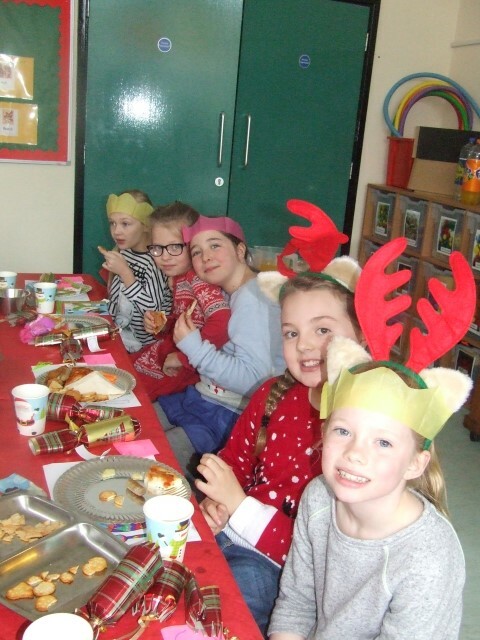 Years 4,5 and 6 participated in the Cluster Carol Concert singing beautifully and they also entertained the older residents of the village with songs from the Christmas play at the over seventies Christmas lunch. 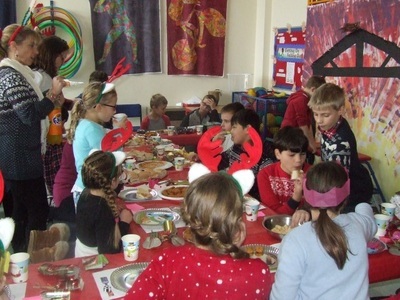 Our Christmas party was very successful with of course a very special guest. We had our annual visit from the Life Education Bus and the children attended informative learning sessions. 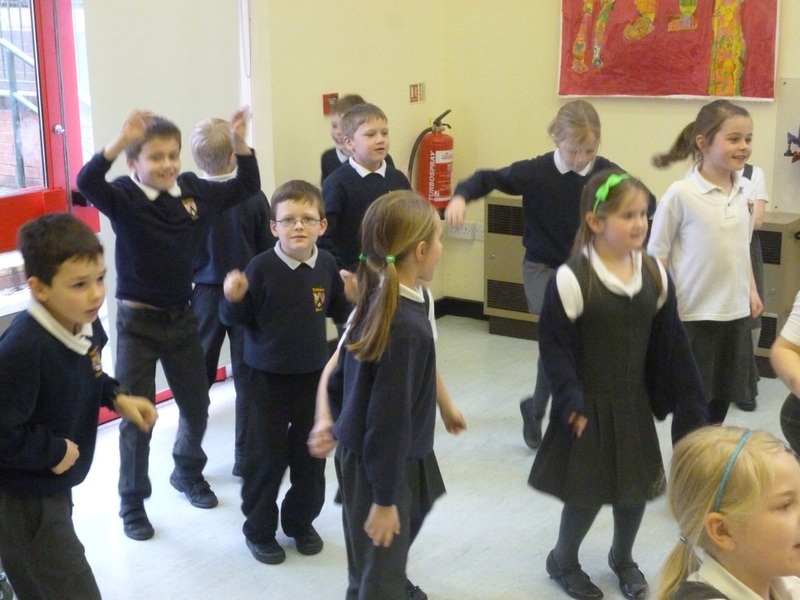 Here are the younger children in the bus and learning about their bodies. Six children from Boddington attended a Public Speaking day run by Chenderit School on Thursday 27th November. James, Matthew, William, Will, Molly and Mia together with children from schools across the cluster learnt all about the art of debating. 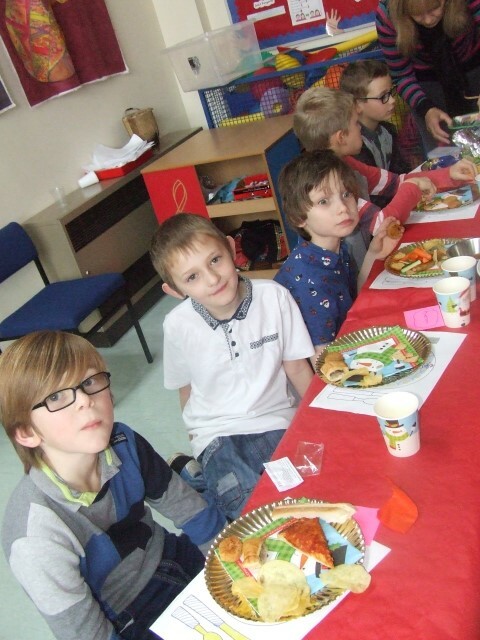 They had to prepare their opening statements and supporting arguments for and against motions such as 'This House states that school uniform should be banned', 'This House states that fast food should be banned in schools' and ''This House states that animals should not be kept in zoos'. 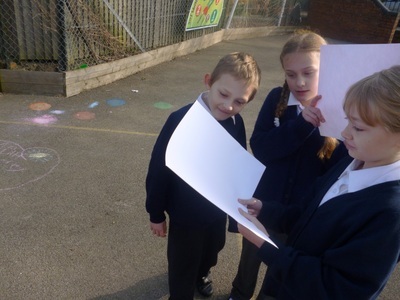 A very interesting day was had by the children. 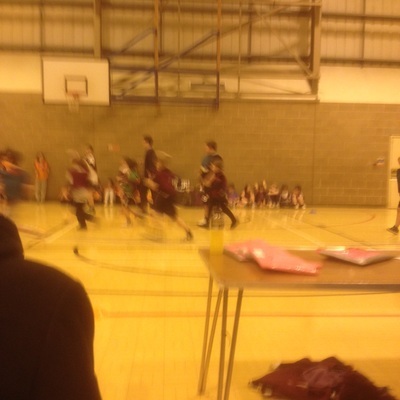 After coming fourth in the Football tournament a few weeks ago, today, the 13th November, we attended the Basketball Festival. 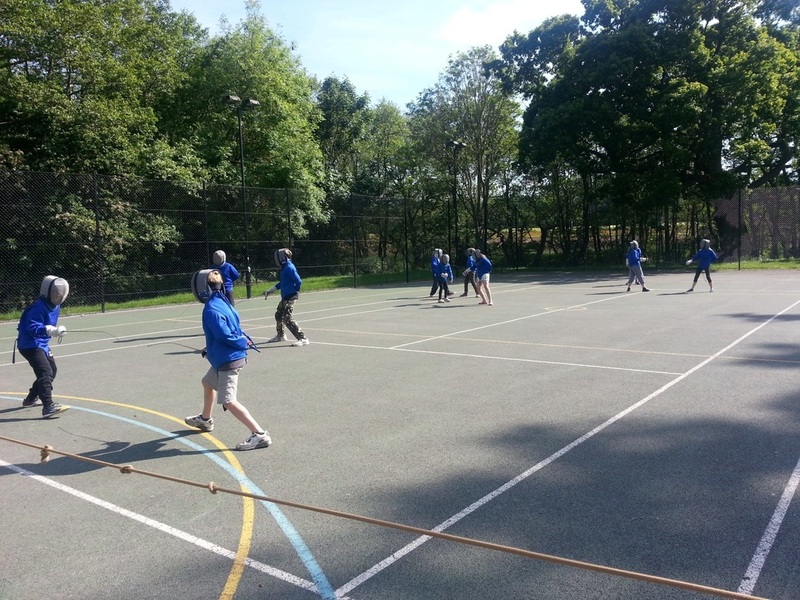 And what a treat we were in for, five fast paced, ten minute matches with lots and lots of goals (sorry baskets) against Greatworth, Chipping Warden, Chacombe, Middleton A and Middleton B. Huge congratulations to our Basketball Team for coming a well deserved second place. Well played to Kyle, Matthew, William, Jamie, Will, Jacob, Dominic and Harry. 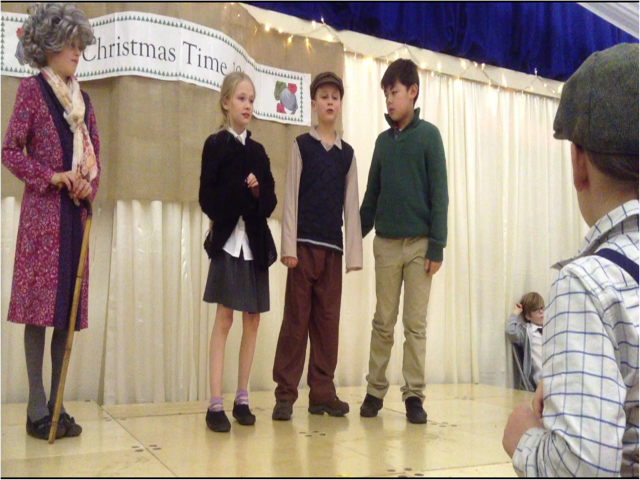 You really worked well together particularly against teams made up of purely older children. Good accurate shooting from Kyle, consistent and determined attacking from Matthew and tenacious play from the rest of the team. 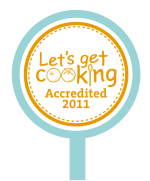 We were really proud to find out after some confusion that you had come first (you really deserved to win!). You were amazing - Sportshall Athletics next! 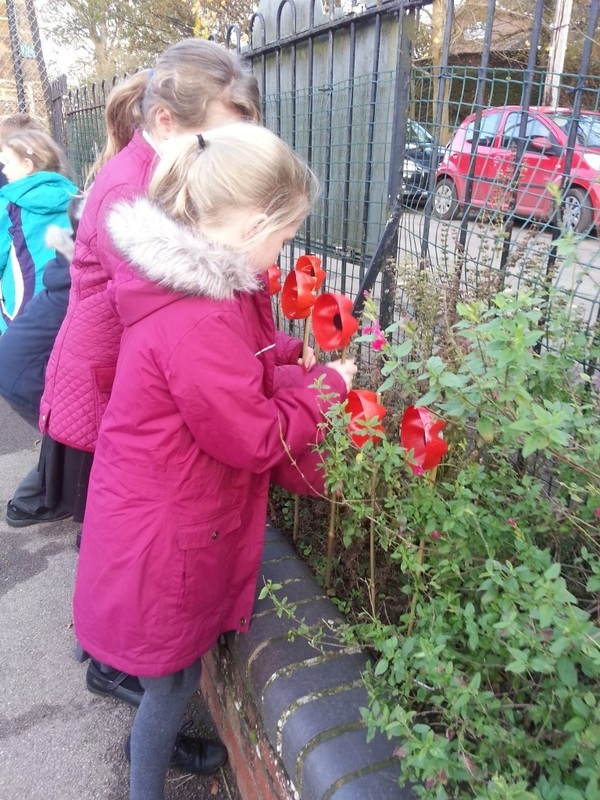 Boddington school has created its own field of poppies this week. 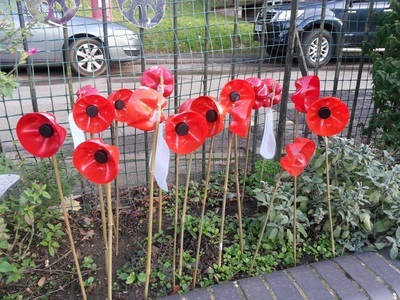 As part of this term's topic on World War One the children from Years 2-6 have made and planted poppies in the flowerbeds at the front of the school. 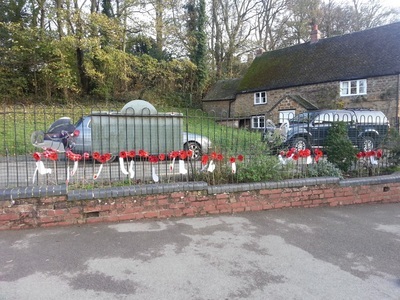 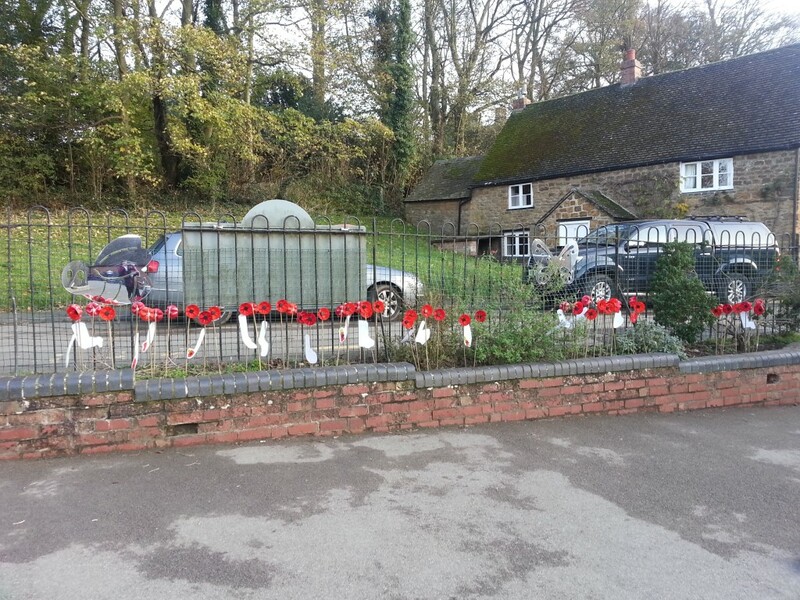 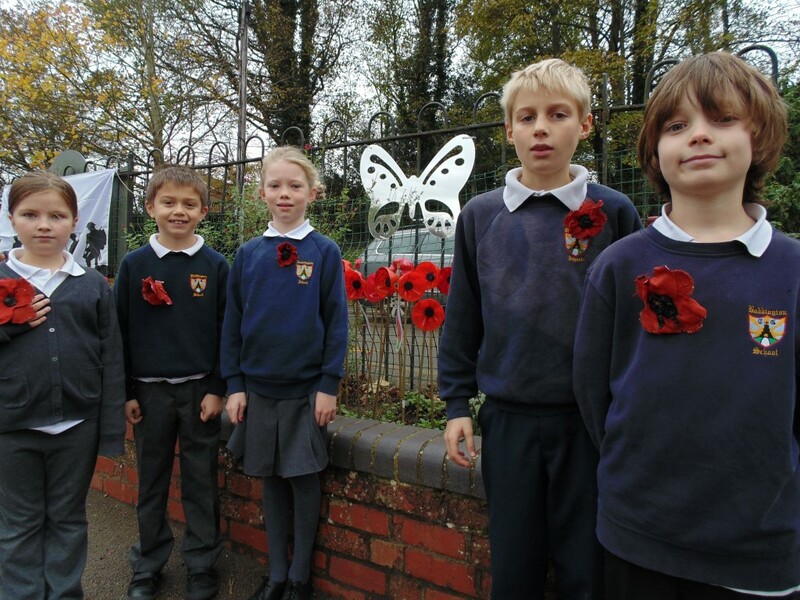 The children worked with a local village sculpture artist, Mrs Dixon, and made the poppies using recycled materials. 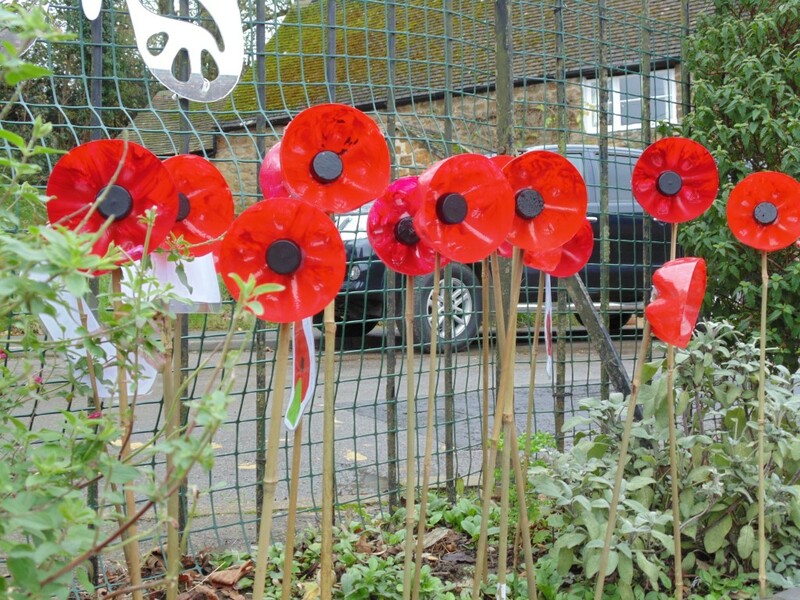 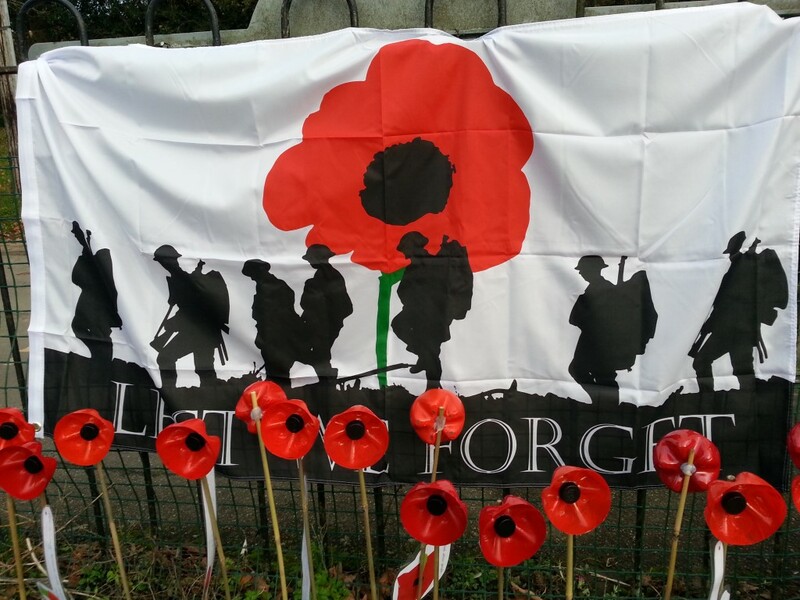 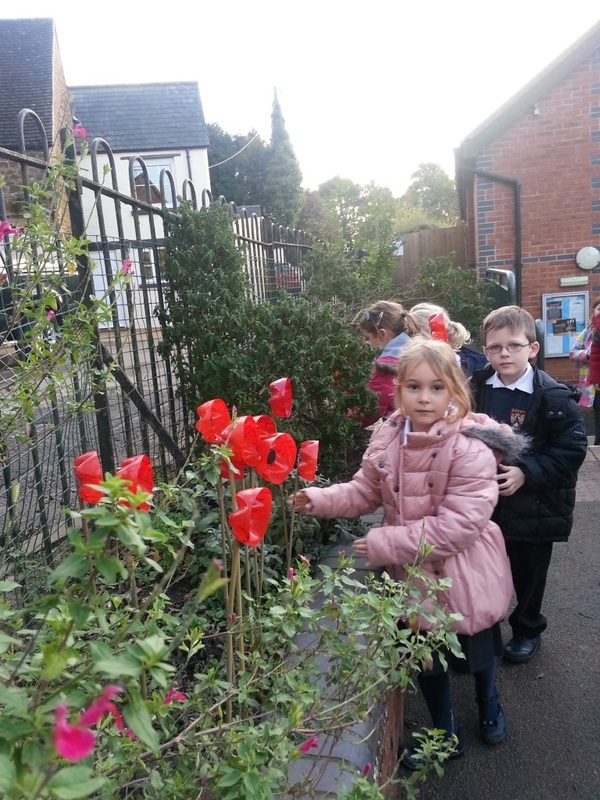 The poppies were planted in the flowerbeds at the front of the school on Monday 10th November. 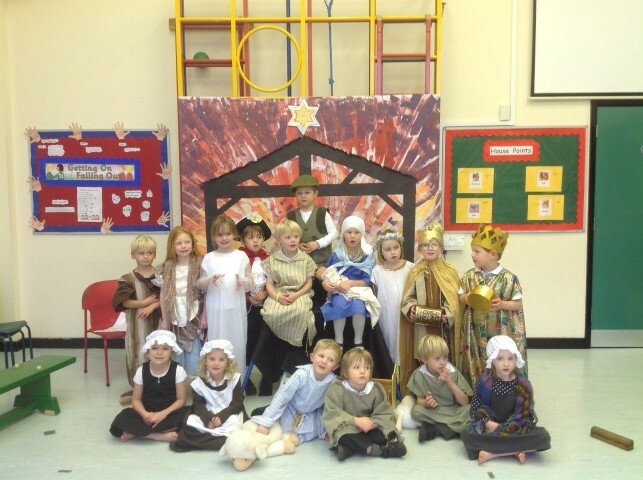 Parents were amazed by the display that greeted them when they came to collect their children. 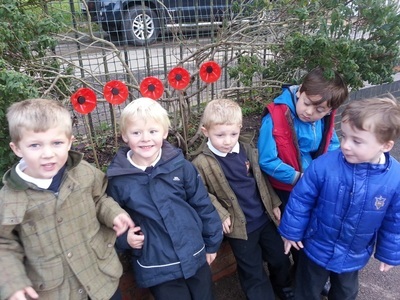 Pictured here are some of the children with the poppies and a close ups of the poppies themselves. 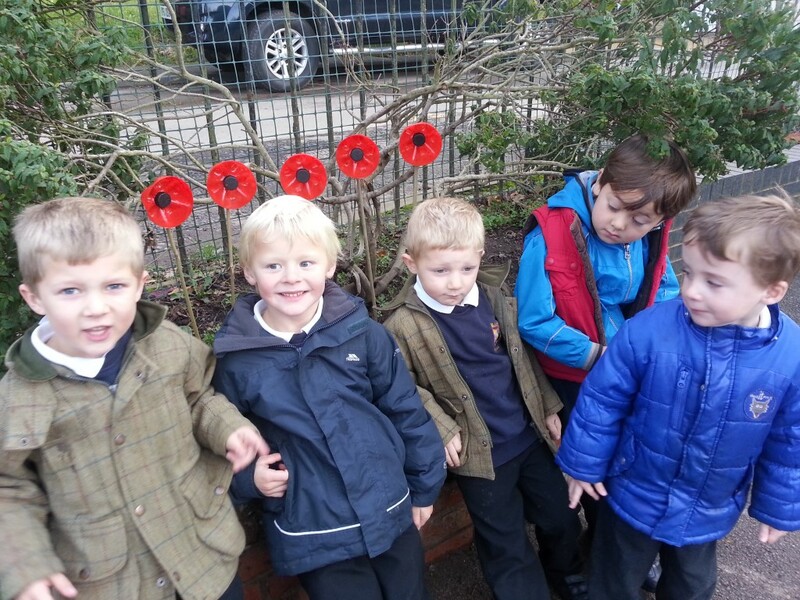 The children in Years 2-6 attended the Remembrance ceremony wearing their handmade poppies on Remembrance Day 11th November. 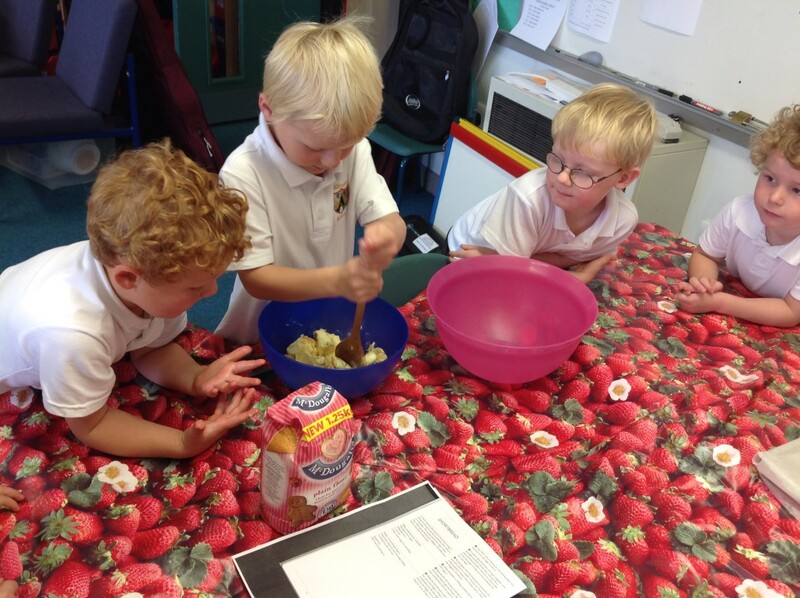 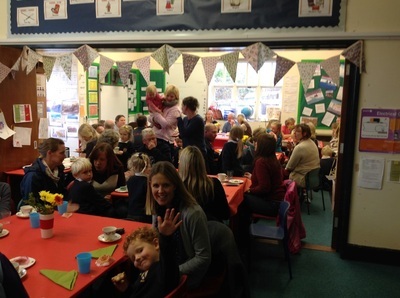 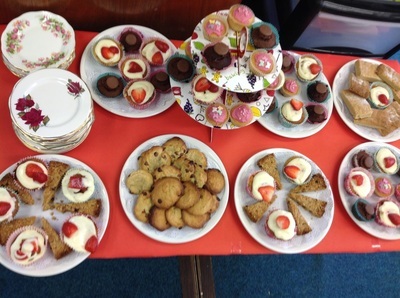 As part of their topic 'A Basketful of Memories', the Reception and Year children prepared and shared a delightful afternoon tea in the very last week before half term. 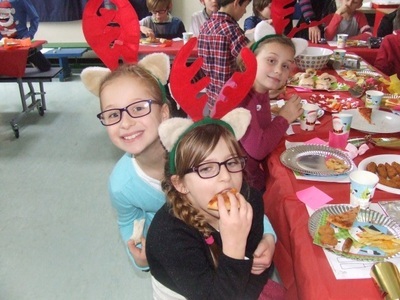 Parents, grandparents and invited guests from the community were greeted with a wonderful selection of cakes and spent a pleasurable hour chatting about 'old times'.